After the general assembly sent two pro-life bills to Governor John Kasich last week, opponents of abortion and abortion promoters held their breath to see what he would do. Today, they had their answer. If the governor had done nothing, both bills (one banning abortion as soon as a fetal heartbeat could be detected, the other banning abortion at 20 weeks) would have become law. Today Gov. Kasich signed the Pain Capable Unborn Child Act, the 20-week ban, and used his line-item veto authority to veto the Heartbeat Bill, which passed as an amendment to another bill. Citing the probability of an expensive lawsuit over the Heartbeat Bill, Gov. 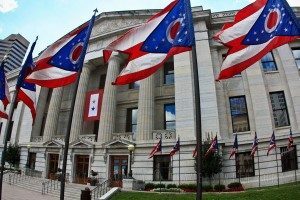 Kasich wrote, “The State of Ohio will be the losing party in a lawsuit and, as the losing party, the State of Ohio will be forced to pay hundreds of thousands of taxpayer dollars to cover the legal fees for the pro-choice activists’ lawyers. This entry was posted on Tuesday, December 13th, 2016 at 8:04 pm	and is filed under News & Commentary. You can follow any responses to this entry through the RSS 2.0 feed. You can skip to the end and leave a response. Pinging is currently not allowed.